An Interview with Michael Propper, the Director of Chess NYC – One of the Best Chess Schools in New York City. As a basketball coach, he led teams to play the best game they could. As the president of the New York City School Board, he worked to make sure that every child had access to a good education and a bright future. Now, as the director of Chess NYC, Michael Propper is making the ancient game of chess accessible to young minds in a way that combines his experience in both of those previous careers. Propper will be the first to tell you that chess and basketball are a lot alike. If you’re surprised by that comparison, it may be because chess has had a bit of a PR problem lately. 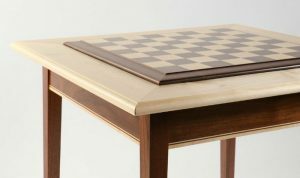 For most people, thinking of the game means conjuring up images of stuffy, silent chess clubs and exclusive tournaments with snooty competitors. Not exactly high octane. Very few people who weren’t early inductees into the world of chess consider it a fun way to spend their time. What’s worse is that some people enjoy the game itself, but are driven out by the often esoteric and elitist culture surrounding it. That’s something Propper has made it his mission to address. It’s no secret that many of today’s educational chess programs for children are geared toward creating future grandmasters or finding the next Bobby Fischer. They’re often something that parents enroll their kids in strictly to develop skills, not necessarily to have a good time. 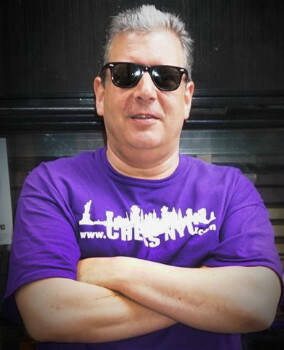 When asked about the overall goal of Chess NYC, Propper has a different answer – his mission, and the mission of the nearly 100 coaches the organization employs, is to create an enjoyable atmosphere for learning chess. His philosophy is, essentially, that chess should be fun, and sitting down at a chess board for 8 hours straight generally isn’t. It’s obvious in the way that chess is taught in Chess NYC programs that this central idea is at the core of all decisions made by the organization. Lessons aren’t taught in hushed tones with complex jargon and dry strategic calculations, but rather excited voices that inject a bit of adrenaline into the experience. 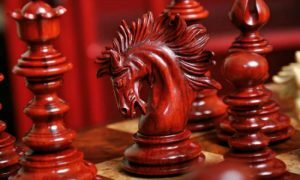 Teaching kids chess the wrong way can be the kiss of death on their interest in the subject, something Propper knows all too well from his own formative experiences with the game. 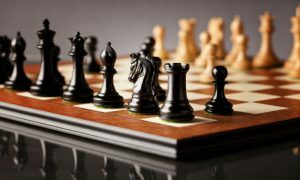 On the other hand, making chess a fun part of a day interspersed with other interesting activities allows kids to develop an interest in the game naturally, without being overloaded by it. Striking this balance can be tricky, but everyone at Chess NYC seems to be having a good time experimenting. The typical daily schedule includes 3 hours of structured chess and 5 hours for other activities including meals, outdoor playtime, social activities, trips for ice cream, and all manner of other things. 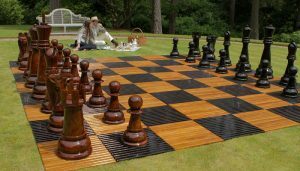 Of course, chess boards are available during all 8 hours for anyone who wants to play, but the availability of other activities gives kids the chance to just be kids, keeping the atmosphere light and fun. After all, very few of us would enjoy being confined to a chess board all day, even as adults! Many of Chess NYC’s day programs are geared toward providing a place for kids to go during holidays from school when their parents may still have to work. You can usually find a day camp running on just about any day that the schools are closed. But working parents aren’t their only clientele. 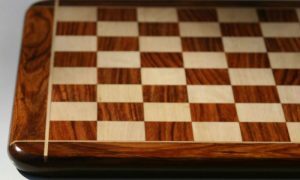 Chess NYC provides their services to many school districts, children’s hospitals, and correctional institutions for children at no cost – Propper prefers not to turn anyone away due to lack of funds. These are often underserved places where the children would otherwise have no access to the game of chess. In just a few short years, Chess NYC has grown immensely throughout New York City and the surrounding areas. They run programs in several different school districts and have their headquarters in a local bar by day. They’ve become a large part of the community, and where they once taught only a handful of children, now thousands pass through their doors each year. They’ve even reached a level of international attention, with high profile chess players like Magnus Carlsen and Susan Polgar flying in to join in on their programs. One wonders if they’re going to have to change the name of the organization anytime soon. When asked about plans for expanding work into areas outside of New York City, Propper balks a bit. Of course he would like to, he says, but there’s still so much to be done inside the city, and so many kids unreached there. Expansion will come in time, but not likely in his own lifetime. Propper’s son, Alan, is involved in the organization, and likely to be the one leading the charge into other areas. For now, Michael is focused on growing roots deep rather than wide, putting his effort back into his community and changing, little by little, the culture surrounding chess in the city from one of elitism to one of inclusion, and most of all – fun. 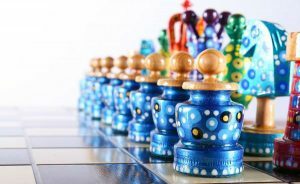 Chess Schools: Great Chess Schools around the world.